Just like when you were in school! 2 to 4 players, 2 goals, 8 handles and 1 ball. Test your skill against your friends and family! Push or pull shot required. 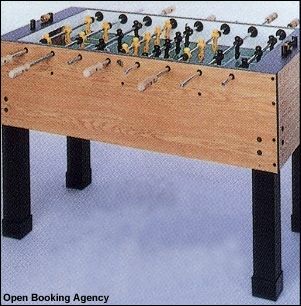 Foosball measures 4' wide by 6' long by 3' high.